1. 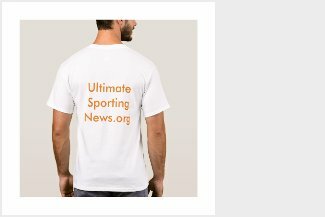 Will Jim Montgomery help develop younger players? The Stars hired Montgomery as coach May 4, three weeks after Ken Hitchcock retired. Montgomery, who coached at the University of Denver for the past five seasons, winning the NCAA Division I championship in 2017, will be tasked with helping develop young players. Defensemen Miro Heiskanen, 19, and Julius Honka, 22, and forwards Roope Hintz, 21, Denis Gurianov, 21, and Radek Faksa, 24, are among them. "It's really important that [John Klingberg], [Marc] Methot, and [Esa] Lindell be the leaders of our D corps and that they take these guys under their wing and bring them along and teach them how to manage the game," Montgomery told The Athletic in July. "We've got to do that as coaches, but they have to [as players] and the good thing talking to those three [is], I think they're ready for it." 2. Have they added enough secondary scoring? 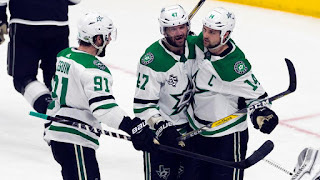 Forwards Tyler Seguin (40 goals), Jamie Benn (36 goals) and Alexander Radulov (27 goals) accounted for 44.5 percent of the Stars' goals (103 of 231) last season, including 63.8 percent of their power-play goals (30 of 47). Dallas added forwards Blake Comeau and Valeri Nichushkin this offseason to add scoring depth. Comeau had 34 points (13 goals, 21 assists) with the Colorado Avalanche last season, and Nichushkin had 27 points (16 goals, 11 assists) in the Kontinental Hockey League last season and 64 points (23 goals, 41 assists) in 166 games with the Stars from 2013-16. "Dallas has an outstanding No. 1 line with Benn, Seguin, and Radulov, some great pieces on the back end as well and a great goaltender," Comeau told the Stars website after he signed as a free agent July 1. "So if I am able to add some depth to their lineup and create some secondary scoring that will take some of the burden off the top line, I think all the teams in the NHL that are successful have a lot of depth and contributions from different guys." 3. Will Ben Bishop's health be a concern? Bishop, who signed a six-year contract with the Stars on May 12, 2017, missed 13 of the final 15 games last season with a lower-body injury. The goaltender has a history of injuries but has performed well when healthy; the 31-year-old was 26-17-5 with a 2.49 goals-against average, a .916 save percentage and five shutouts in 53 games (51 starts) last season. Dallas signed goalie Anton Khudobin to a two-year, $5 million contract July 1 to back up Bishop. The 32-year-old was 16-6-7 with a 2.56 GAA, a .913 save percentage and one shutout in 31 games (29 starts) with the Boston Bruins last season. "He's a veteran who's been around the League a long time, done a great job in Boston the last couple of years, and we think he is going to be a great addition for our goaltending moving forward," Nill said.